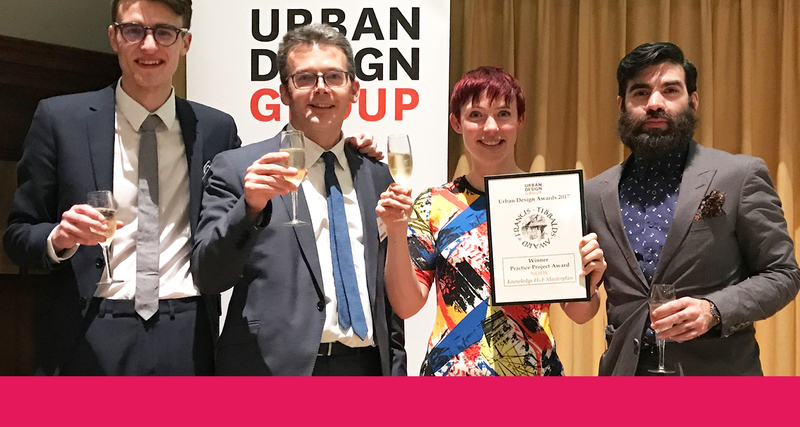 We were awarded practice of the year in 2017 at the Urban Design Group’s National Urban Design Awards in London for our work on the Knowledge Hub project in collaboration with Birmingham City University’s School of Architecture and Design and Co.Lab. Coverage of the project led to a range of high profile town and city-centre masterplanning schemes around the country for us, as well as resulting in the team featuring on national radio and television news. What a year!